Word Park is a very simple and interesting game in which you should swipe letters in a certain order to make words. It is developed by APNAX Games, the same company that created Word Snack (you should also play this game). In fact, this is a great way to kill time while you wait for the train or a board meeting. And aside from the entertainment it can provide you, it can also enrich your vocabulary. 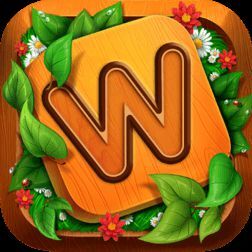 So you had trouble find all the answers to Word Park level 158? Well, our staff have solved this level and in a moment you will get the answers. Remember you should connect the letter in the correct order so you can find all the hidden words. Use the form below to search for another level. Search for any level of Word Park. Just put the level number in the box. Do not forget to visit the homepage of Word Park, to find more information on the game as well as the download links. If you are experiencing any problem at all with the answers of Word Park. Please contact us!